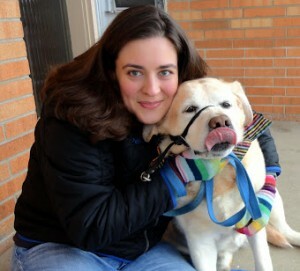 Spring is a time for new experiences. As we watch the world around us come back to life we feel inspired to branch out and try new things which in our case is making a new dish. Something we have never made at home before. We might as well try channeling Candace Kumai, Kirin’s brand ambassador, and create a elegant but simple dish. 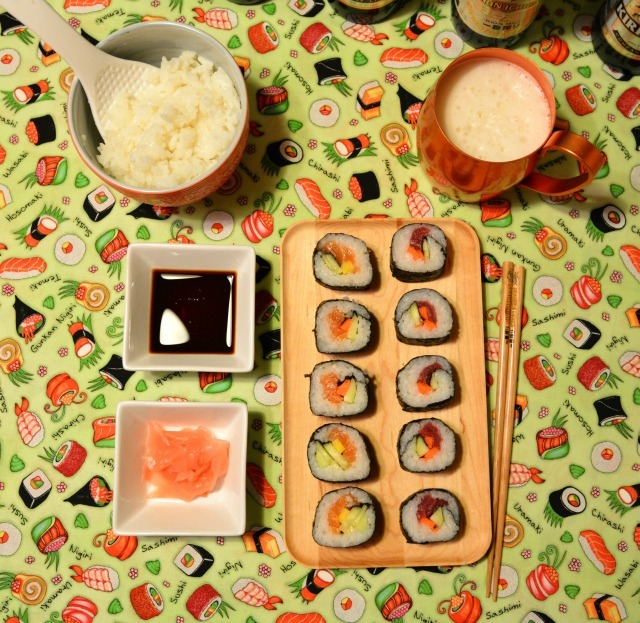 Since we had a new beer to taste that comes from Japan, we decided to try making sushi on our own. No need for eye rolls or panicked looks, it’s not such a scary dish. So with some Kirin Ichiban chilling in the fridge we headed to get some sushi. Generally this could be a haphazard mission, but we live near a Japanese supermarket so we knew high grade tuna and salmon were in our near future. 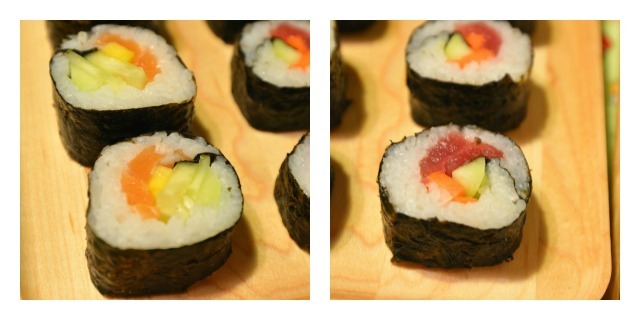 Overall, our futomaki is fairly basic. We didn’t want to overpower the tuna or salmon with too many ingredients. 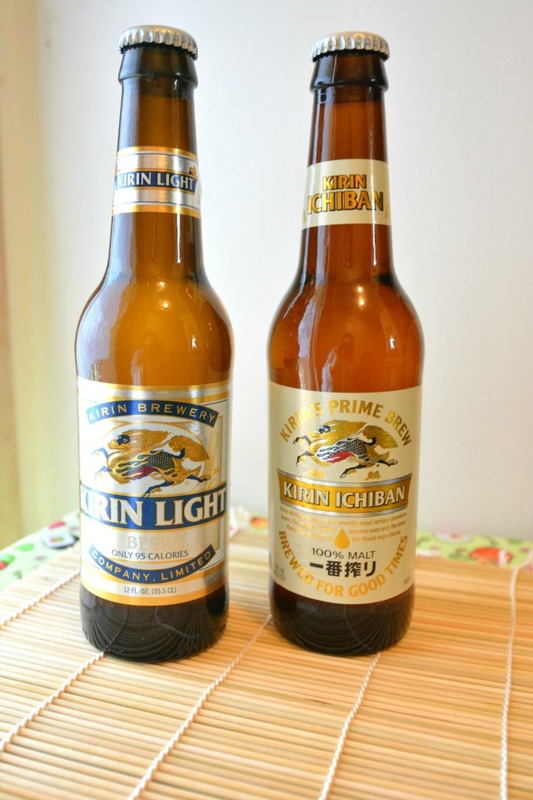 Never having tried Kirin beer before, we weren’t entirely certain what to expect. With a meal like sushi, you want to pair it with something that isn’t going to outshine your sushi. You want to taste the full flavors of the fresh ingredients and so Kirin is perfect. Friends and family alike enjoyed that the aftertaste was slight meaning it didn’t compete with our meal. Basically, Kirin would be perfect for any bold flavors. Unlike most beers it helps cleanse your palate so you can continue to eat without the lingering taste of hops. When you are crafting a meal from scratch that requires precision and skill you don’t want it to be diminished by a full bodied lager that will stick around. You want Kirin which will let the flavors meld in your mouth but when you want another piece of sushi you don’t have to be concerned about missing out. You get to experience it again almost as if it were the first bite except the dryness and tang in your mouth adds a sweetness and lushness to your sushi. Meaning that it is even more luxurious against your tongue. The sensation is similar in taste from the malt to an apple with the same palate cleansing effect. The best of both worlds as you get a great beer that doesn’t leave you tipsy after the first glass and it helps cut through any spiciness you add with the wasabi. Sushi is simple. Prep your fish and roll with some vegetables! small bowl of water with a little vinegar to keep your fingers from sticking. First you'll need to make your rice. I always make mine in the microwave and it turns out perfect every time. You'll need a large microwave safe bowl with a lid. Add sushi rice and hot water, cover and cook for 20 minutes. Perfect rice! Set aside to cool a bit. Meanwhile, peel and slice your cucumbers and carrots. I slice my veggies julianne style. You can adjust their thickness to your liking. Right before you're ready to roll your sushi, cut your fish into cube like long pieces at least half an inch thick. 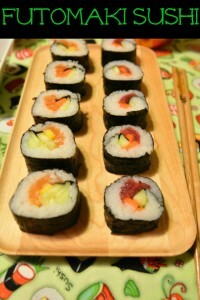 You can check our video here on how to roll kimbap. Rolling futomaki is done the same way. You'll end up with about 8 futomaki sushi rolls. Slice these in half and then into bite sized pieces.